In May, 2008, Kirby Nagelhout Construction Company began an enormous three phase renovation and construction project at Bend’s Mountain View High School. By all accounts the multi-million dollar project has been a resounding success thus far. Phase 1, which was awarded to the company at the beginning of the year, began in shortly after Memorial Day in May. Phase 1 was itself a multi-level project, beginning with a complete gut of the one side of the school, and was in part designed to fulfill Bend-La Pine School Districts commitment to comply with the Americans with Disabilities Act. 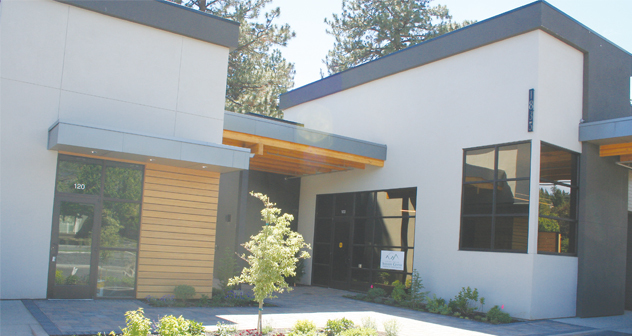 “Our focus on the project was the creation of seven modern science classrooms and we were able to address a variety of accessibility issues at the same time,” states Bend-La Pine School District Deputy Superintendent, John Rexford. This part of the project was essentially a complete redo of the science wing, and adjacent bathrooms. This brought unique challenges to Kirby Nagelhout because not only did new plumbing have to be installed, but gas lines for the science labs. For a job that encompasses a total of 20,000 square feet this was a very demanding and intricate process. Head Engineer for Mountain View High School, Rick Hickmann recalled, “They ripped everything down to the dirt to make it ADA compliant, completely gutting a space the size of half a football field.” Not only is the remodeled section of the school now compliant, classrooms have been increased in size to accommodate upwards of 35 students per class. 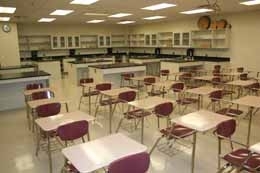 Prior to the remodel, classrooms were designed to hold only twenty students. Key aspects of Phase 1 also included refurbishing the main gym bleachers and entrance, and refurbishing the arts and music rooms. DLR Group, the architecture firm from Portland chosen to design the project realized the complexity of the situation immediately. According to Jim Conley, AIA – DLR Group Principal, and Mt. View High School Project Leader, “The original scope of the project was a science wing addition, but when we took a good look at the existing science area, it became clear that inefficiency of space was the real problem. So we gutted the existing science space and worked with the faculty to create great learning opportunities in the 14,000 square feet that they already had. Over the course the summer, crews grew to as many as fifty workers which explains how they were able to complete Phase 1 in half the time it would normally take. With the school year now in full swing, and Phase 1 completed to everyone’s satisfaction, Kirby Nagelhout is focusing on Phase 2. The scheduled completion date for the addition is by the end of Winter Break. If all goes as planned, students will be able to avoid the modular classrooms hidden behind the school, and enjoy state of the art facilities designed to make the setting conducive to the best education possible. Once Phase 2 is completed, Phase 3 will begin. This part of the project will focus on the back part of the school, which was never completely finished. The completion of Phase 2 will allow for the removal of the modular classrooms now sitting in the back, which in turn, will free up room to finish the driveway/parking area, and complete the landscaping. Phase 3 also includes a 2000 square foot building for the FFA (Future Farmers of America) program, which will be used as a vocational building for students interested in the agriculture programs. When this final part of the project is completed, in the beginning of March 2009, students and staff will have a safe and aesthetically pleasing area on campus to compliment the other improvements. Everyone is aware of the incredible growth Central Oregon has experienced over the last decade, especially the Bend area, and this has put a great deal of pressure on the Bend-LA Pine School District to accommodate the growing school population. In fact, this district continues to grow faster than any large district in the state, and currently ranks seventh over all in terms of size. It is no wonder that projects like the one at Mt. View High will continue to be apart of the fabric of this community. These projects aren’t cheap, but absolutely necessary, and the citizens here know it.